This Garlic and Chive Dip recipe is really easy to make and it’s a perfect mid-afternoon snack or party appetizer. It pairs nicely with vegetables, crackers, cheese, bread and even sliced pepperoni. This dip tastes the best after it’s been sitting in the fridge overnight because the spices have a chance to settle and combine together with the other ingredients. I always find it easier to eat raw vegetables when I have a delicious dip to eat them with. How often do you eat vegetables? I’ll admit that I used to be a terrible eater. Unless vegetables came on a pizza, I really didn’t eat them. Since my son was born, I’ve been trying to set a better example by making healthier food choices and it’s made a big difference with the way I feel too. Don’t get me wrong, I still love cake, but the occasional treat doesn’t leave me with much guilt when my supper was loaded with fresh vegetables. Just a few spices mixed with sour cream and you'll have a delicious party appetizer. You could also dress it up a bit by topping it with sliced green onions, shredded cheese and bacon bits. Place all ingredients into a bowl and stir well to mix. Store in an airtight container in the fridge for a few hours before serving. Tastes great with vegetables, cracks, cheese and bread! 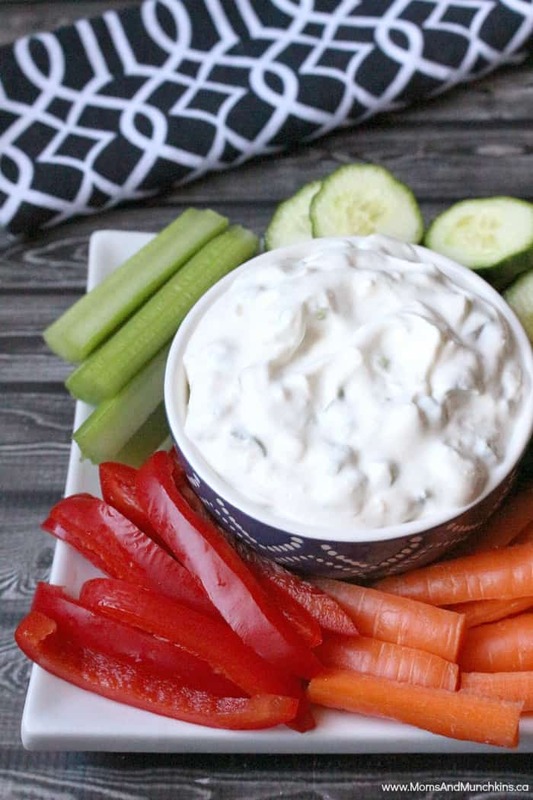 If you’re looking for more delicious dips for a party, you’re in the right place! 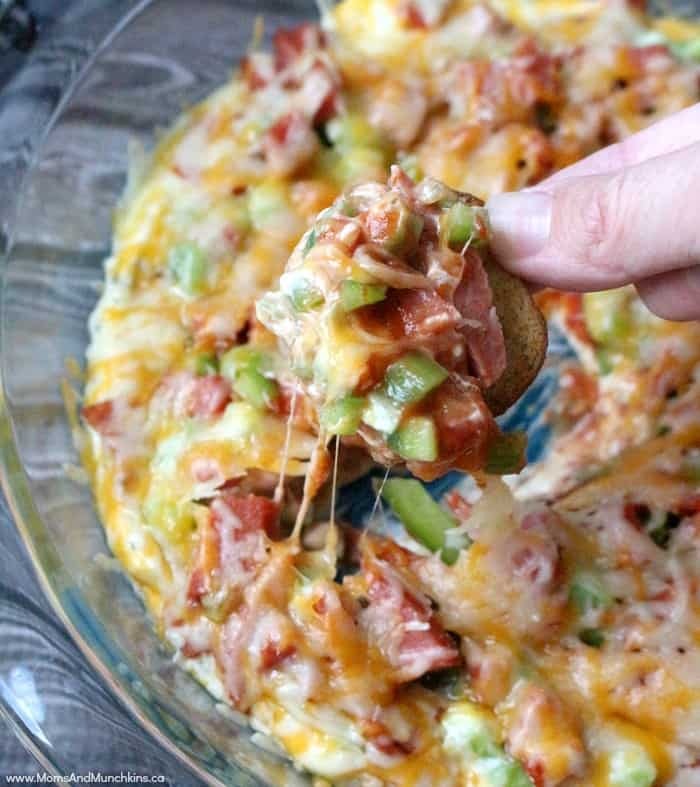 This Layered Pizza Dip is one of my favorites. For more delicious recipes, check out our special Recipes page. We have loads of delicious desserts (my favorite part of any party) and other appetizer ideas perfect for parties. We’re always adding new ideas for parties plus tasty recipes. Follow us on on Facebook, Twitter, Pinterest and Instagram for the latest updates. This looks super yummy and easy to make with ingredients I already have! This sounds great – I am sure it would be yummy with those carrots! I pinned to my party board so I can try this next time we need finger foods! How simple, easy dip recipes sure come in handy! thanks for sharing! Sounds super yummy…thanks for sharing.